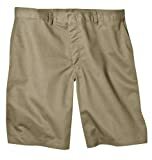 Shorts - 143 - Blowout Sale! Save up to 69% | What Should I Say? Blowout Sale! Up to 69% off on Shorts at What Should I Say?. Top brands include Amazon Essentials, Soffe, Columbia, Signature by Levi Strauss & Co. Gold Label, 28 Palms, Dickies, Leapparel, CQR, Hurley, Maverick, Champion, HENGAO, Savane, LEE, Goodthreads, Levi's, Wrangler, & Haggar. Hurry! Limited time offers. Offers valid only while supplies last.